Recognizing the “booming” growth of our population, Mid-West Family Broadcasting is committed to providing radio programming that serves a growing older demographic. Carol Koby coordinates this effort as Executive Producer and Host of All About Living, a weekly interview program which airs 10-11 AM Saturdays on HANK AM 1550 and 97.7 FM, and Living Minutes, daily nuggets of useful information. Carol Koby is one of the most experienced broadcasters in our market. A former women’s director and reporter for WITI-TV Channel 6 in Milwaukee and consumer advocate for WKOW-TV in Madison, she also moderated the Picture of Health cable television series for University of Wisconsin Hospital and Clinics. 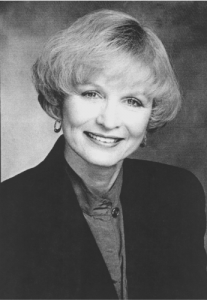 In addition to a Communication Arts Degree in Broadcasting and a Masters Degree in Continuing Education, both from the University of Wisconsin-Madison, Carol’s professional life has provided many opportunities for her to serve as a communication bridge between expert resources and the general public. Her passion for promoting lifelong learning, making informed decisions, and living full and purposeful lives are the foundation of her radio programs, All About Living and Living Minutes on HANK AM 1550 and 97.7 FM, Mid-West Family Broadcasting stations.